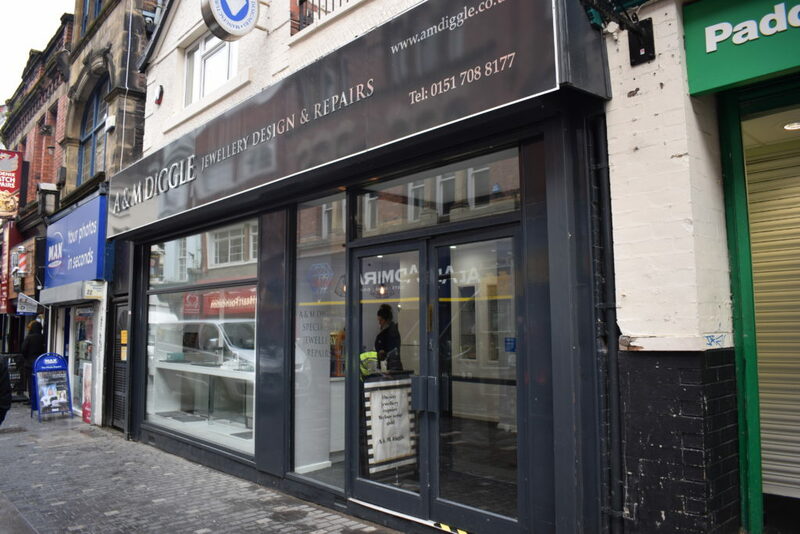 Ultra Developments carried out the installation of a new aluminium shop front with anti bandit glazing. 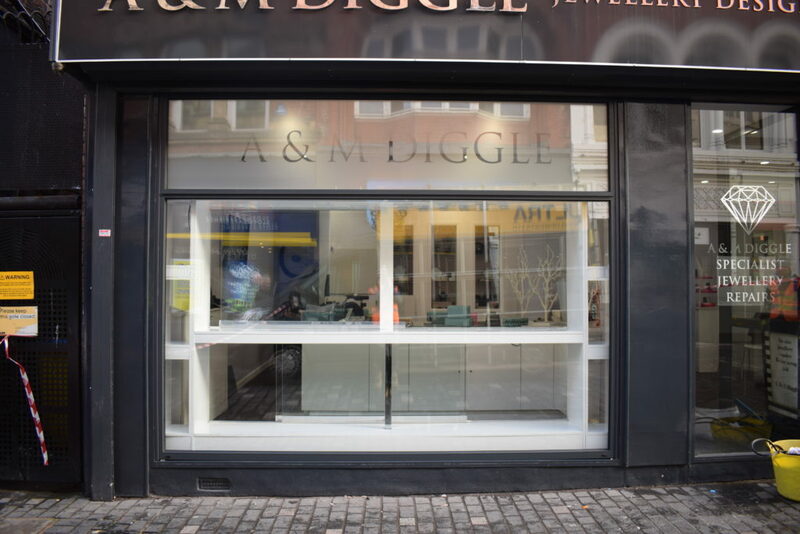 Manifestation was applied to show AM Diggle shop name. The glass weighed a 1/4 tonne so a smart lift 608 was used for the installation.